^ Charles-Edwards 1991, p. 15; Sims-Williams 1991. Y Gododdin cannot be dated precisely: it describes 6th-century events and contains 9th- or 10th- century spelling, but the surviving copy is 13th-century. ^ Modern scholarship views the Glastonbury cross as the result of a probably late 12th-century fraud. See Rahtz 1993 and Carey 1999. ^ Ciro Santoro, "Per la nuova iscrizione messapica di Oria", La Zagaglia, A. VII, n. 27, 1965, pp. 271-293. ^ Zimmer, Stefan, "The Name of Arthur – A New Etymology ", Journal of Celtic Linguistics, Vol. 13, No. 1, March 2009, University of Wales Press, pp. 131-136. ^ Zimmer, Stefan, "The Name of Arthur: a new etymology", in: Journal of Celtic Linguistics, Vol. 13, No. 1, March 2009, University of Wales Press, pp. 131-136. 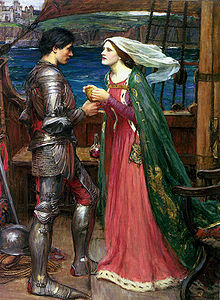 ^ Johnson, Flint, The British Sources of the Abduction and Grail Romances, University Press of America, 2002, pp. 38-39. ^ * Jaski, Bart, "Early Irish examples of the name Arthur", in: Zeitschrift für celtische Philologie; Bd. 56, 2004. ^ Adomnán, I, 8–9 and translator's note 81; Bannerman, pp. 82–83. Bannerman, pp. 90–91, notes that Artúr is the son of Conaing, son of Áedán in the Senchus fer n-Alban. ^ Online translations of this poem are out-dated and inaccurate. See Haycock 2007, pp. 293–311, for a full translation, and Green 2007b, p. 197 for a discussion of its Arthurian aspects. ^ For example: en:Rosemary Sutcliff's The Lantern Bearers (1959) and en:Sword at Sunset (1963); en:Mary Stewart's en:The Crystal Cave (1970) and its sequels; en:Parke Godwin's Firelord (1980) and its sequels; Stephen Lawhead's en:The Pendragon Cycle (1987–99); en:Nikolai Tolstoy's en:The Coming of the King (1988); en:Jack Whyte's The Camulod Chronicles (1992–97)etc. Ashe, Geoffrey (1996), “Geoffrey of Monmouth”, in Lacy, Norris, The New Arthurian Encyclopedia, New York: Garland, pp. 179–82, ISBN 978-1-56865-432-4 . Bromwich, Rachel (1978), Trioedd Ynys Prydein: The Welsh Triads, Cardiff: University of Wales Press, ISBN 978-0-7083-0690-1 . Second ed. Bromwich, Rachel (1983), “Celtic Elements in Arthurian Romance: A General Survey”, in Grout, P. B.; Diverres, Armel Hugh, The Legend of Arthur in the Middle Ages, Woodbridge: Boydell and Brewer, pp. 41–55, ISBN 978-0-85991-132-0 . Bromwich, Rachel (1991), “First Transmission to England and France”, in Bromwich, Rachel; Jarman, A. O. H.; Roberts, Brynley F., The Arthur of the Welsh, Cardiff: University of Wales Press, pp. 273–98, ISBN 978-0-7083-1107-3 . Budgey, A. (1992), “'Preiddeu Annwn' and the Welsh Tradition of Arthur”, Celtic Languages and Celtic People: Proceedings of the Second North American Congress of Celtic Studies, held in Halifax, August 16–19, 1989, Halifax, Nova Scotia: D'Arcy McGee Chair of Irish Studies, Saint Mary's University, pp. 391–404, ISBN 978-0-9696252-0-9 . Carey, John (1999), “The Finding of Arthur’s Grave: A Story from Clonmacnoise?”, in Carey, John; Koch, John T.; Lambert, Pierre-Yves, Ildánach Ildírech. A Festschrift for Proinsias Mac Cana, Andover: Celtic Studies Publications, pp. 1–14, ISBN 978-1-891271-01-4 . Charles-Edwards, Thomas M. (1991), “The Arthur of History”, in Bromwich, Rachel; Jarman, A. O. H.; Roberts, Brynley F., The Arthur of the Welsh, Cardiff: University of Wales Press, pp. 15–32, ISBN 978-0-7083-1107-3 . Cornwell, Bernard (1995-1997), The Warlord Chronicles, London: Michael Joseph, ISBN 0-7181-3762-0 . Forbush, William Byron; Forbush, Dascomb (1915), The Knights of King Arthur: How To Begin and What To Do, The Camelot Project at the University of Rochester, http://www.lib.rochester.edu/CAMELOT/KOKA.htm 2008年5月22日閲覧。 . Gamerschlag, K. (1983), “Tom Thumb und König Arthur; oder: Der Däumling als Maßstab der Welt. Beobachtungen zu dreihundertfünfzig Jahren gemeinsamer Geschichte” (German), Anglia (101): 361–91 . Green, Thomas (1998), “The Historicity and Historicisation of Arthur”, Thomas Green's Arthurian Resources, http://www.arthuriana.co.uk/historicity/arthur.htm 2008年5月22日閲覧。 . Green, Thomas (2007b), Concepts of Arthur, Stroud: Tempus, ISBN 978-0-7524-4461-1, http://www.arthuriana.co.uk/concepts . Griffen, Toby D. (8 April 1994) (PDF), Arthur's Name, Celtic Studies Association of North America, http://www.fanad.net/csana94.pdf 2009年9月21日閲覧。 . Conference paper. Harty, Kevin J. (1996), “Films”, in Lacy, Norris J., The New Arthurian Encyclopedia, New York: Garland, pp. 152–155, ISBN 978-1-56865-432-4 . Harty, Kevin J. (1997), “Arthurian Film”, Arthuriana/Camelot Project Bibliography, http://www.lib.rochester.edu/camelot/acpbibs/harty.htm 2008年5月22日閲覧。 . Heroic Age (Spring/Summer, 1999), “Early Medieval Tintagel: An Interview with Archaeologists Rachel Harry and Kevin Brady”, The Heroic Age (1), http://www.mun.ca/mst/heroicage/issues/1/hati.htm . Koch, John T. (1996), “The Celtic Lands”, in Lacy, Norris J., Medieval Arthurian Literature: A Guide to Recent Research, New York: Garland, pp. 239–322, ISBN 978-0-8153-2160-6 . Lacy, Norris J. (1996a), “Character of Arthur”, in Lacy, Norris J., The New Arthurian Encyclopedia, New York: Garland, pp. 16–17, ISBN 978-1-56865-432-4 . Lacy, Norris J. (1996b), “Chrétien de Troyes”, in Lacy, Norris J., The New Arthurian Encyclopedia, New York: Garland, pp. 88–91, ISBN 978-1-56865-432-4 . Lacy, Norris J. (1996c), “Popular Culture”, in Lacy, Norris J., The New Arthurian Encyclopedia, New York: Garland, pp. 363–64, ISBN 978-1-56865-432-4 . Lagorio, V. M. (1996), “Bradley, Marion Zimmer”, in Lacy, Norris J., The New Arthurian Encyclopedia, New York: Garland, p. 57, ISBN 978-1-56865-432-4 . Loomis, Roger Sherman (1956), “The Arthurian Legend before 1139”, in Loomis, Roger Sherman, Wales and the Arthurian Legend, Cardiff: University of Wales Press, pp. 179–220, OCLC 2792376 . Lupack, Alan; Lupack, Barbara (1991), King Arthur in America, Cambridge: D. S. Brewer, ISBN 978-0859915434 . Lupack, Alan (2002), “Preface”, in Sklar, Elizabeth Sherr; Hoffman, Donald L., King Arthur in Popular Culture, Jefferson, NC: McFarland, pp. 1–3, ISBN 978-0-7864-1257-0 . Monmouth, Geoffrey of (2009), Joseph Black, ed., “A History of the Kings of Britain”, The Broadview Anthology of British Literature:The Medieval Period (Toronto: Broadview Press): pp. 157–179 . Padel, O. J. (Fall, 1995), “Recent Work on the Origins of the Arthurian Legend: A Comment”, Arthuriana 5 (3): 103–14 . Potwin, L. S. (1902), “The Source of Tennyson's 'The Lady of Shalott'”, Modern Language Notes (Modern Language Notes, Vol. 17, No. 8) 17 (8): 237–239, doi:10.2307/2917812, JSTOR 2917812, http://jstor.org/stable/2917812 . Roberts, Brynley F. (1980) (Welsh), Brut Tysilio: darlith agoriadol gan Athro y Gymraeg a'i Llenyddiaeth, Abertawe: Coleg Prifysgol Abertawe, ISBN 978-0-86076-020-7 . Roberts, Brynley F. (1991a), “Culhwch ac Olwen, The Triads, Saints' Lives”, in Bromwich, Rachel; Jarman, A. O. H.; Roberts, Brynley F., The Arthur of the Welsh, Cardiff: University of Wales Press, pp. 73–95, ISBN 978-0-7083-1107-3 . Roberts, Brynley F. (1991b), “Geoffrey of Monmouth, Historia Regum Britanniae and Brut Y Brenhinedd”, in Bromwich, Rachel; Jarman, A. O. H.; Roberts, Brynley F., The Arthur of the Welsh, Cardiff: University of Wales Press, pp. 98–116, ISBN 978-0-7083-1107-3 . Sims-Williams, Patrick (1991), “The Early Welsh Arthurian Poems”, in Bromwich, Rachel; Jarman, A. O. H.; Roberts, Brynley F., The Arthur of the Welsh, Cardiff: University of Wales Press, pp. 33–71, ISBN 978-0-7083-1107-3 . Smith, C.; Thompson, R. H. (1996), “Twain, Mark”, in Lacy, Norris J., The New Arthurian Encyclopedia, New York: Garland, p. 478, ISBN 978-1-56865-432-4 . Staines, D. (1996), “Tennyson, Alfred Lord”, in Lacy, Norris J., The New Arthurian Encyclopedia, New York: Garland, pp. 446–449, ISBN 978-1-56865-432-4 . Stokstad, M. (1996), “Modena Archivolt”, in Lacy, Norris J., The New Arthurian Encyclopedia, New York: Garland, pp. 324–326, ISBN 978-1-56865-432-4 . Thompson, R. H. (1996), “English, Arthurian Literature in (Modern)”, in Lacy, Norris J., The New Arthurian Encyclopedia, New York: Garland, pp. 136–144, ISBN 978-1-56865-432-4 . Tondro, Jason (2002), “Camelot in Comics”, in Sklar, Elizabeth Sherr; Hoffman, Donald L., King Arthur in Popular Culture, Jefferson, NC: McFarland, pp. 169–181, ISBN 978-0-7864-1257-0 . Ulrich, von Zatzikhoven (2005), Lanzelet, New York: Columbia University Press, ISBN 978-0-231-12869-8 . Trans. Thomas Kerth. Vinaver, Sir Eugène, ed. (1990), The Works of Sir Thomas Malory, Oxford: Oxford University Press, ISBN 978-0-19-812346-0 . Third, revised, ed. Watson, Derek (2002), “Wagner: Tristan und Isolde and Parsifal”, in Barber, Richard, King Arthur in Music, Cambridge: D. S. Brewer, pp. 23–34, ISBN 978-0859917674 . Williams, Sir Ifor, ed. (1937) (Welsh), Canu Aneirin, Caerdydd [Cardiff]: Gwasg Prifysgol Cymru [University of Wales Press], OCLC 13163081 . Wordsworth, William (1835), “The Egyptian Maid, or, The Romance of the Water-Lily”, The Camelot Project, The University of Rochester, http://www.lib.rochester.edu/camelot/egypt.htm 2008年5月22日閲覧。 . “Arthurian Gwent”, Blaenau Gwent Borough County Council, http://www.blaenau-gwent.gov.uk/8035.asp 2008年5月22日閲覧。 . An excellent site detailing Welsh Arthurian folklore. Arthurian Resources: King Arthur, History and the Welsh Arthurian Legends, http://www.arthuriana.co.uk 2008年5月22日閲覧。 . A detailed and comprehensive academic site, which includes numerous scholarly articles, from Thomas Green of Oxford University. Arthuriana, http://www.arthuriana.org/ 2008年5月22日閲覧。 . The only academic journal solely concerned with the Arthurian Legend; a good selection of resources and links. Celtic Literature Collective, http://www.maryjones.us/ctexts/index_welsh.html 2008年5月22日閲覧。 . 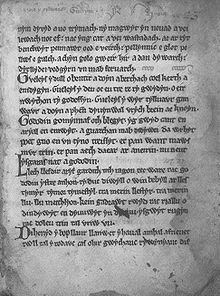 Provides texts and translations (of varying quality) of Welsh medieval sources, many of which mention Arthur. “Faces of Arthur”, Faces of Arthur, http://www.facesofarthur.org.uk/bibliograrth.htm 2009年11月16日閲覧。 . 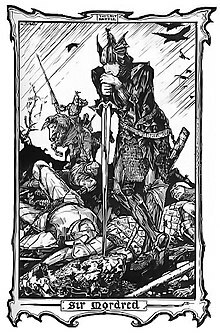 An interesting collection of articles on King Arthur by various Arthurian enthusiasts. Ford, David Nash, “King Arthur, General of the Britons”, Britannia History, http://www.britannia.com/history/arthur/kageneral.html 2008年5月22日閲覧。 . The Camelot Project, The University of Rochester, http://www.lib.rochester.edu/camelot/cphome.stm 2008年5月22日閲覧。 . Provides valuable bibliographies and freely downloadable versions of Arthurian texts. The Heroic Age: A Journal of Early Medieval Northwestern Europe, The Heroic Age, ISSN 1526-1827, http://www.heroicage.org/ 2008年5月22日閲覧。 . An online peer-reviewed journal that includes regular Arthurian articles; see especially the first issue. Gilman, D. C.; Thurston, H. T.; Colby, F. M., eds. (1905). 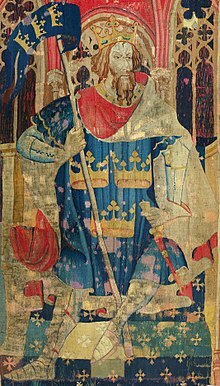 "Arthur (king)". New International Encyclopedia (1st ed.). New York: Dodd, Mead. Rines, George Edwin, ed. (1920). "Arthur (king)". Encyclopedia Americana. Reynolds, Francis J., ed. (1921). "Arthur". Collier's New Encyclopedia. New York: P.F. Collier & Son Company.